I’m having a giveaway starting today (June 6th). The month-long giveaway will happen on Goodreads, NOW through July 4th. 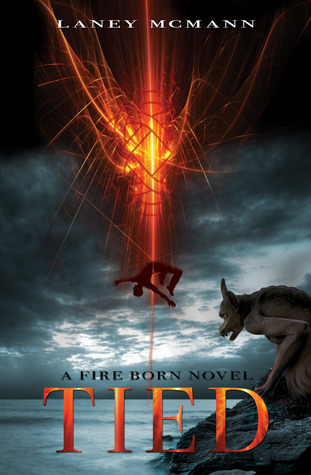 I’ll be giving away 10 SIGNED paperbacks of TIED (Fire Born #1). These giveaways typically have a high number of entries, so get your name in to win! Giveaway ends July 04, 2014. This entry was posted on June 6, 2014 by Laney. It was filed under A Fire Born Novel, Fire Born Updates, Giveaways, J Taylor Publishing, TIED, TORN, Young Adult Novels and was tagged with Author, Book Giveaway, Goodreads, laney mcmann, Layla and Max, The Fire Born Novels, TIED by Laney McMann, TORN (Fire Born #2) by Laney McMann, YA Fiction, young adult paranormal romance, young adult urban fantasy.